I have been doing a lot of contemplation about my new dog Hollow in the past few weeks. As let's face it: This is one confounding dog! The truth is, she is an incredibly sweet dog, who has shown incredible patience with a friend's toddler and her pretty annoying 4 month old puppy. She could have killed me when I was yanking out the porcupine quills, and instead she simply tried to stop me. She's affectionate and sweet. She loves the base of her ears being scratched, and her belly rubbed. She has the "Dog's Lament" perfected. Puppies Offering their best "Lament"
She's also sometimes unpredictable, in a relatively predictable way: if she's overwhelmed, she freaks out. This usually means when meeting new people, if there is an "odd person out" (ie, someone who comes in solo), she will act out against that person by growling, snapping, etc. It's clear she will not hurt them, but she continues to make every one jump with the repeated sudden vocalizations. And really -- as beautiful as her light blue eyes are, they are pretty frickin' unnerving too! Yeah, imagine waking up every morning with her weight on your chest as she stands on you and stares at you.... Um, yeah. Now that's a wake up call. She's also quite, well.... "independent". (Yeah, I worked in politics for more than a decade -- I know how to spin....) She does what she wants to, on her terms -- particularly when we are outside. As that seems to be the issue: inside the house, she listens to me, mostly obeys me, and is affectionate and even charming. Outside? I'm pretty much chopped liver for 95 percent of the time. Originally it was 100 percent of the time, so I do appreciate the gains in the last few months! But still, the truth is, that once we go outside, Hollow seems to turn a bit, well, "wild" -- certainly at least a bit feral. It's as if I don't exist any more to her, and she barely looks at me, let alone heeds me -- not exactly typical behavior for a dog, who look to their pack. Let's start here: I was told when I rescued her from the shelter in the next county over that she was a "purebred husky" of perhaps two years old, that she was rescued by ranchers who almost shot her because they thought she was a coyote. 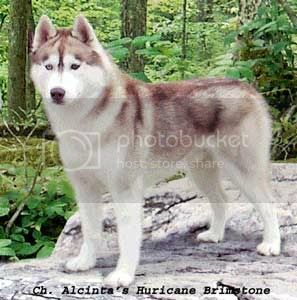 Here is a link to some images of "brown huskies" -- click here. And here is a link to some images of coyotes -- click here. If you'd like to read more about coyotes in general, you can do so here. The color of the coyote's pelt varies from grayish-brown to yellowish-gray on the upper parts, while the throat and belly tend to have a buff or white color. The forelegs, sides of the head, muzzle and paws are reddish-brown. The back has tawny-colored underfur and long, black-tipped guard hairs that form a black dorsal stripe and a dark cross on the shoulder area. The black-tipped tail has a scent gland located on its dorsal base. Coyotes shed once a year, beginning in May with light hair loss, ending in July after heavy shedding. The ears are proportionately large in relation to the head, while the feet are relatively small in relation to the rest of the body. Certain experts have noted the shape of a domestic dog's brain case is closer to the coyote's in shape than that of a wolf's. Mountain-dwelling coyotes tend to be dark-furred, while desert coyotes tend to be more light brown in color. Coyotes will sometimes mate with domestic dogs, usually in areas such as Texas and Oklahoma, where the coyotes are plentiful and the breeding season is extended because of the warm weather. The resulting hybrids, called coydogs, maintain the coyote's predatory nature, along with the dog's lack of timidity toward humans, making them a more serious threat to livestock than pure-blooded animals. This crossbreeding has the added effect of confusing the breeding cycle. Coyotes usually breed only once a year, while coydogs will breed year-round, producing many more pups than a wild coyote. Differences in the ears and tail generally can be used to distinguish coydogs from domestic or feral dogs or pure coyotes. Breeding experiments in Germany with poodles, coyotes, and later on with the resulting dog-coyote hybrids showed that, unlike wolfdogs, coydogs exhibit a decrease in fertility, significant communication problems, and an increase of genetic diseases after three generations of interbreeding. I’ve got a dog that I found in the outskirts of Phoenix. He acts and looks exactly like your pup. If you see this post, please message me at sebastian.pjay@gmail.com. I would really like to get more information and share some pictures with you.